Fixing something when you are on the road is never easy. 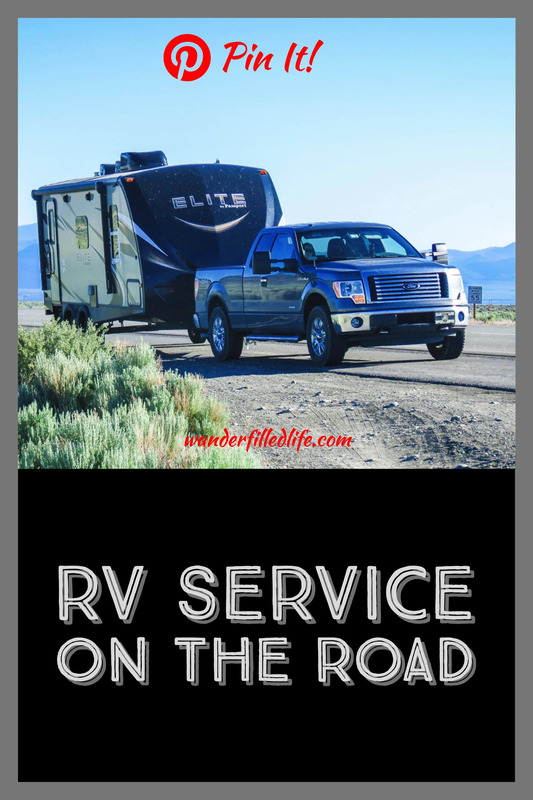 Getting RV service… even more difficult, even when it is a relatively simple fix. 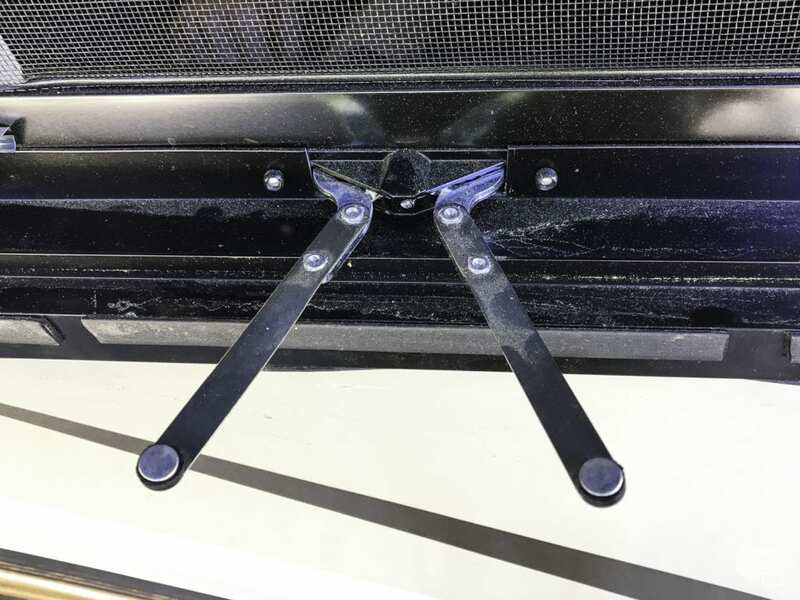 On Friday of our stay in Mariposa, CA, I made a significant discovery: somewhere along the way, several days previous, the black water tank release handle fell off our camper. I don’t know how it happened. It’s not completely obvious, but we are missing our black water release valve handle. I imagine it simply came unscrewed on the road somewhere between Barstow and Mariposa. It had been a few days since we had started using the toilet, so the black water tank was not empty… Fortunately, the handle came off with the valve in the closed position… The alternative would have been… foul. So, I walked up to ask the folks at the Mariposa/West Yosemite KOA what they recommended in terms of service. The woman behind the counter was less than helpful initially, but eventually recommended a place in Manteca which was not too far out of our way to our next stop. That night, I screwed up. I was closing the window by my side of the bed when I over tightened the crank and popped both arms out of the channel. We went outside in the dark and looked at the arms… then looked for the small “washers” which held the arms in the track. We found one, but try as we might, we could not put it together. The two knobs on the ends of the arms should have discs to allow it to slide in the channel of the window. This was a serious problem. The window was completely loose at this point and just walking into the camper would cause it to bounce a bit. Obviously, we couldn’t drive down the road with the window like that… it would shatter. We were in a bind. The next morning (Saturday), we got up reasonably early and headed into town to get cell phone service. One of the things which made our situation so frustrating was not having any cell service and very limited WiFi at our campground. We researched RV places from Mariposa to Fresno and Manteca. We called a lot of RV service centers. Many weren’t open on the weekend. All the ones we spoke to said they could not fit us in for two or more weeks. This was beginning to look like it might derail our entire trip. We finally found RVs 4 Less in Madera, CA, where Jeremiah said he could get us in sometime that week if we came by first thing on Monday. Depending on how much work was needed, it could take a couple of days. 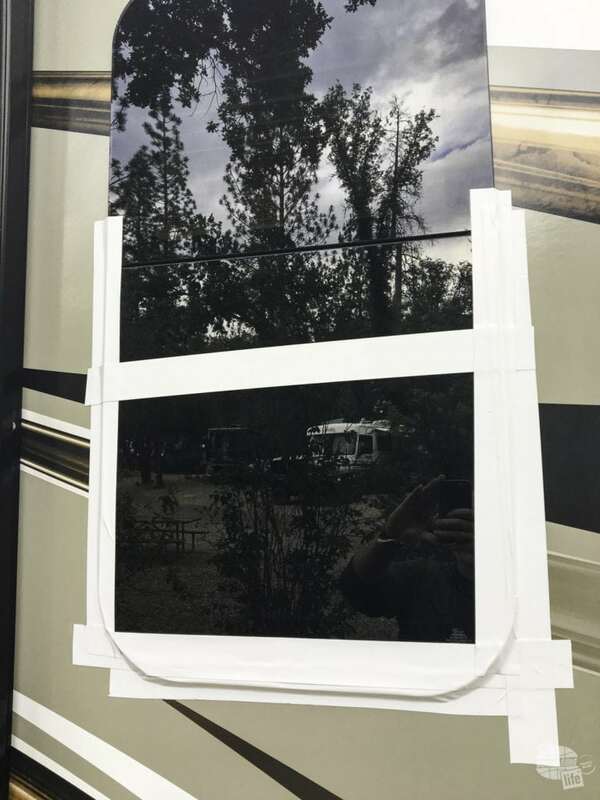 We packed up, taped up the window with Gorilla Tape, made sure we were ready to spend time in a hotel and checked out of our campground a day early. We needed to get this fixed. By the way, those are affiliate links to Amazon… we get a commission if you click on them. Josh (the parts guy) and James (the service tech) fit us right in, got in there and fixed problem #1, the black water tank handle, quickly. They also did a little troubleshooting on a couple of other minor issues with the camper for us as well. Grant helping out our tech, James, as he works on the black water tank handle. Initially, we thought we might be at a hotel with the cat for several days, but these folks recognized they could solve our problems and get us on our way in about an hour. We were able to head back to the KOA and not lose our already-paid-for night’s stay at the campground. There’s always a but. They could not get the replacement window crank from Keystone for 10 days. He suggested we give a larger RV service center, like Camping World, a call and see if they could get the part faster. Ok. Time for Plan B. We taped up the window again and headed over Carson Pass to Lee Vining. We knew the area was smaller than Mariposa, but there is Reno to the north and Las Vegas to the south if we could work out RV service there. On the way, I called Keystone Customer Service. I knew I could not order parts directly from Keystone, but I hoped I could at least get the part number so I could easily communicate with RV parts guys. Nope. The customer service folks don’t have access to that information. 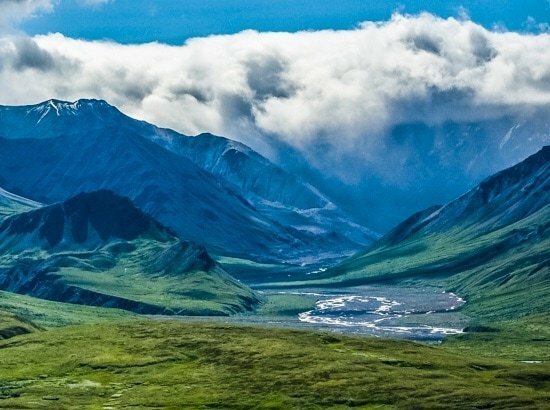 I would have to take the camper to a RV service center, let them figure out what part was needed and then wait for it to arrive, all the while not having access to our camper. That was a nonstarter for me. We had to use Gorilla Tape to seal up the window. 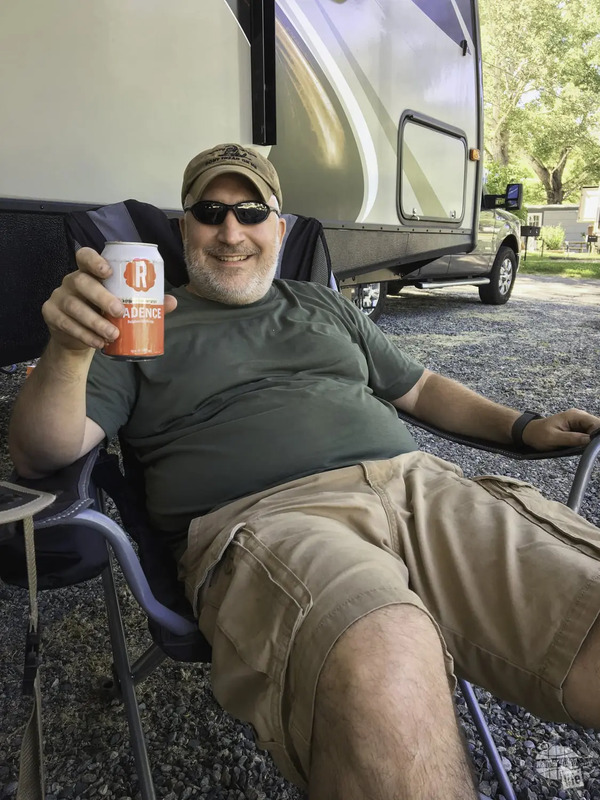 We had the number for the Camping World in Idaho Falls, which was our best bet for RV service along our route, and the number for a couple of parts places in Las Vegas. 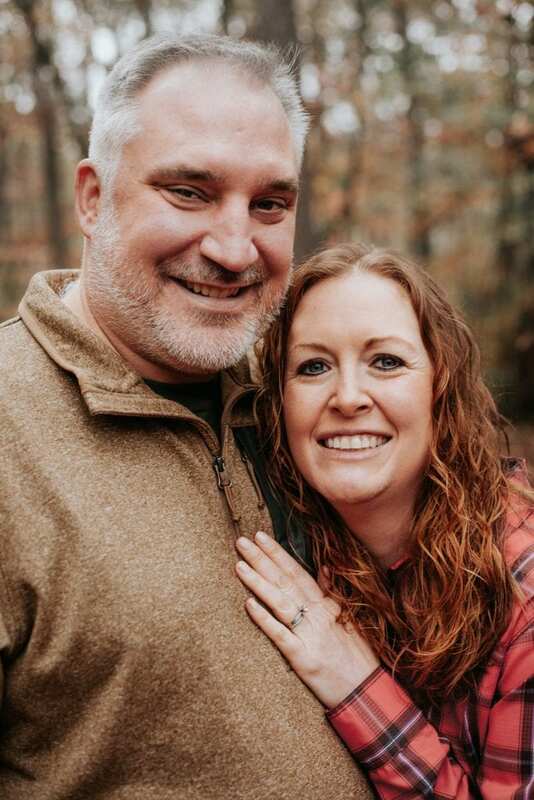 I got ahold of the Courtney, the parts guy at Camping World, and described my situation. He asked me to e-mail pictures to him, which I did. It took about a day, but he figured out what part I needed. I asked him if this was a part which I could easily swap out myself and he said it should be. We checked on the camper and saw it had a couple of rivets. I asked him to have it overnighted to me in Lee Vining so I could take care of it. I would need a riveter, but, hey, no problem. Courtney sent me the tracking number so I could keep an eye on the package and be ready for it when it arrived. I had the number of a guy nearby who did RV work if I needed help. I looked at the tracking info on Friday morning. The package had gone from Oregon to Kentucky (!?!?) and was showing to be still in Kentucky. I called UPS. The customer service guys said the tracking was likely wrong, the package had likely missed the truck and had already been rescheduled for Saturday. Grant enjoying the last of the Georgia beer, in this case a Reformation Cadence from Woodstock. We thought, at this point, we had the problem taken care of. Saturday came and I checked the tracking. The package had made it to Ontario, CA, which is near Los Angeles. It still said Saturday delivery, but Ontario is six hours away. Hmm. I decided to call UPS to check. I am always impressed how well that phrase works with customer service agents. He put me on hold and then came back several minutes later. He told me the package would not be delivered today and there was nothing anyone could do about it. At that point, I got angry. As a Marvel movie fan, I always relate to Captain America, but if I were really honest, I would chose the Hulk. I became “Angry Sinclair.” It is never a pretty sight and my voice takes on the quality of a pissed off drill sergeant whose recruit forgot to bring bullets to the shooting range. Once I had gotten done chewing upon that customer service rep and getting nowhere, I pushed for a manager. The manager fed me the same lines. In all, I spent an hour on the phone with UPS to discover the problem: UPS left the package on the tarmac in Kentucky. Oh, and there is no Saturday service in Lee Vining. At all. Their solution to the problem? Oh, it will get there on Tuesday, a full five days after I had it overnighted. So much for “What can Brown do for you?” or “United Problem Solvers.” This is a company full of delivery trucks for packages, along with the drivers for said trucks. There was no one who could toss this small, less than a pound package into a truck and drive it up US 395. I know I should not call out UPS quite so hard in print and this is a bit of abuse of my position as a blogger, but the reality is this was an abject failure on UPS’ part and they fessed up to their failure to me in writing. Did they solve my problem? No. I still drove across Nevada with my window taped up. What can Brown do for you, indeed. Upon realizing the package would not arrive on time, we decided to leave Lee Vining for Caliente, Nevada. 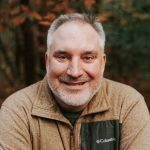 I contacted Courtney at Camping World and asked him to have the package rerouted to his store. Camping World in Idaho Falls was great. They took outstanding care of us. Courtney, again, stepped up to the plate, not only arranging for the part to be in Idaho Falls when I arrived, but also freeing up a spot in the shop to have the crank installed for me. I *probably* could have handled the install of the crank with a riveter which are relatively easy to get at a hardware store, but 1) I wanted to make sure the job was done right and 2) as much effort as Courtney had done for me, I needed to make it right by tossing some business to Camping World. 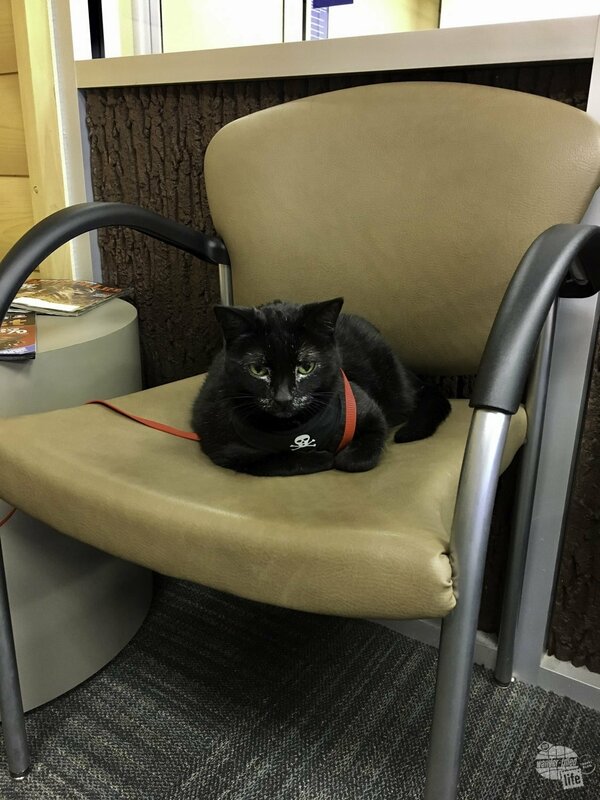 Alee hanging out in the waiting area at Camping World in Idaho Falls. We drove up there on Friday morning and, as promised, they got us in and out in about two hours. The window crank works and Alee (the cat) did not mind staying in the guest lounge too much. 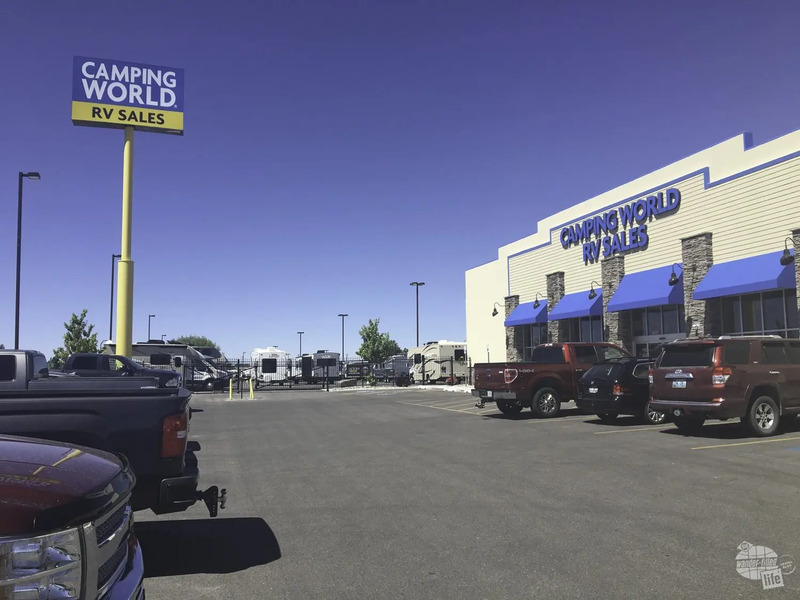 Like the folks at RVs 4 Less, we could not be more thankful to the folks at Camping World in Idaho Falls. They made things happen, solved our problem and charged us a fair price. 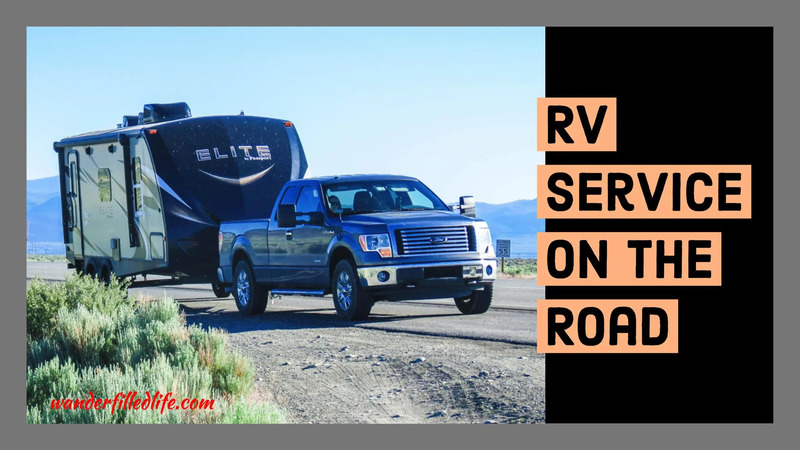 The biggest lesson we learned in this process is expect RV problems to take a while to fix, mostly due to a backlog at most RV service centers. We were fortunate to, ultimately, not have to alter any of planned stops. We didn’t expect that to be the case initially. Very happy to have the window fixed! Both of these problems we could have probably fixed ourselves, but we lacked the experience to know the difference. And lacked the part for the window. I will probably be breaking out the Loctite on some of the screws to make sure we don’t have the problem of things coming unscrewed and falling off in the future. 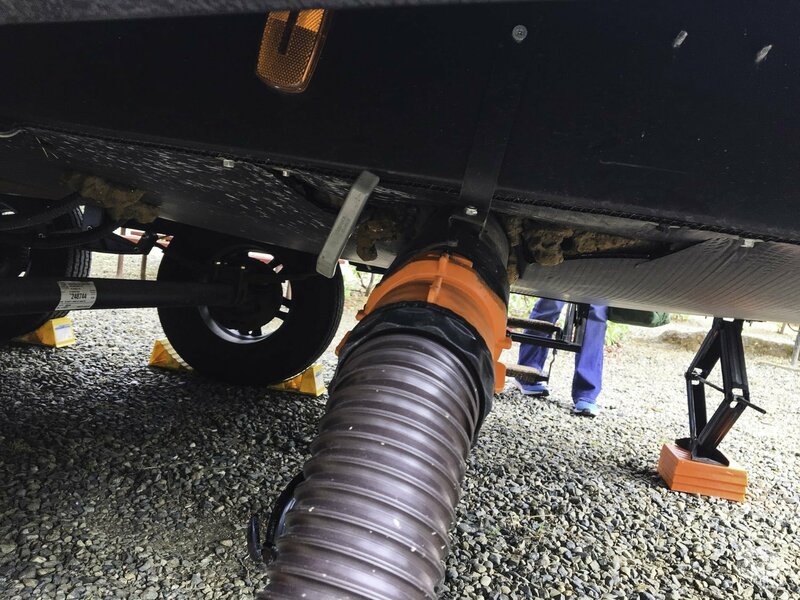 The more experience we have with the camper, the more confidence we have in our ability to solve small problems as they arise. It just takes time and experience to learn what problems we can handle and what problems we need a service center for. The one thing I know is the camper will need service again while on the road. Hopefully, we can find great service easier next time. My father is thinking about getting an RV this fall. So, I liked that you talked about places you can go to get your RV serviced. It is good to know that there are shops that specialize in repairing RV’s. 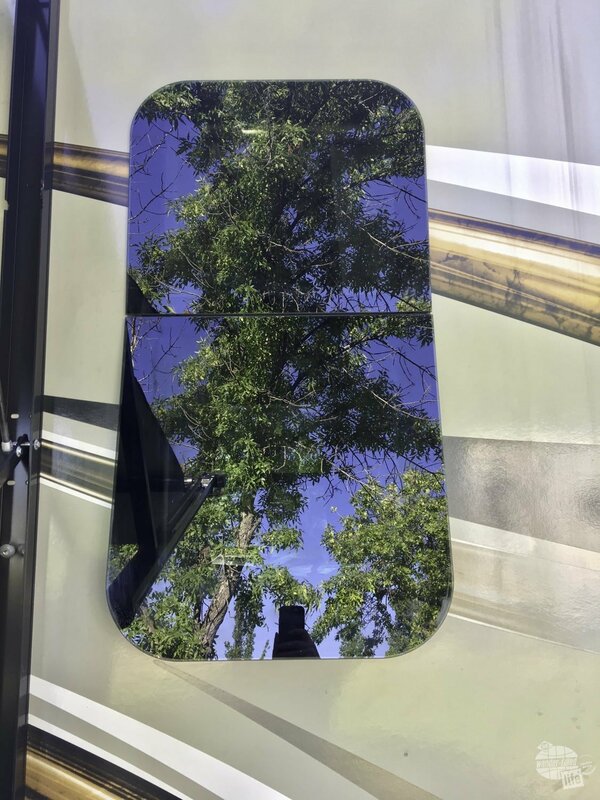 My wife and I are planning on using our RV a lot this summer so thanks for these tips. I like your point about finding an RV service center that is close by before going on a trip. We’ll be sure to do this so we have somewhere to turn if we break down. There are plenty of places out there on the road which can provide service, but so many have long wait times on complicated repairs. That can mean an expensive stay in a hotel while you try to get your camper serviced. 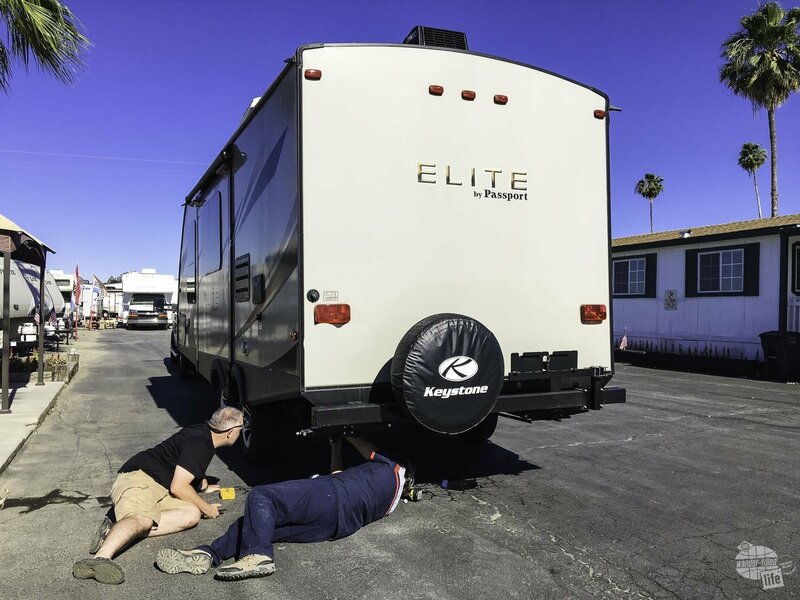 That’s good to know that if you need to repair your RV that it will probably take some time for it to be complete. I wouldn’t want to have a problem and get stuck in a town for a few days with nowhere to stay. I’ll have to find some places with places to stay along the way that I can stop at if needed. Thanks, Tyler! It can especially be a problem in remote places. We have stayed in a few places with very limited hotel rooms.